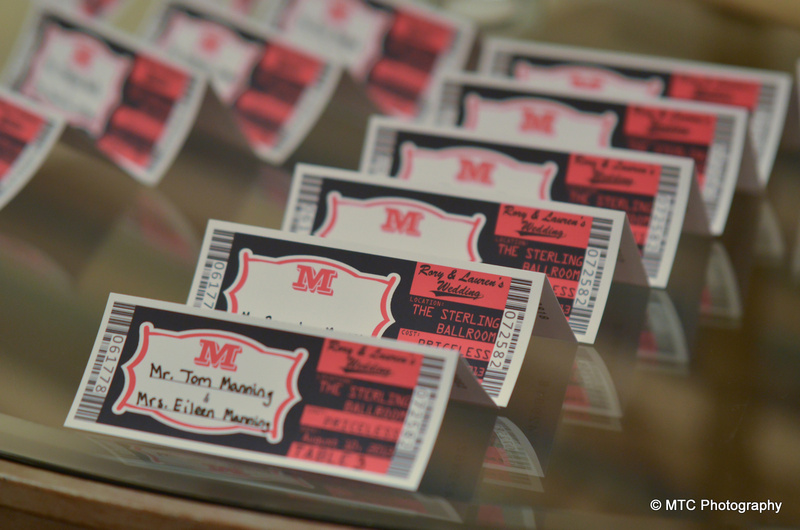 When planning your wedding, every detail counts, especially your reception place cards. From choosing the right foods to deciding on the perfect color linens and choosing the perfect songs for entertainment, there’s so much to be done. 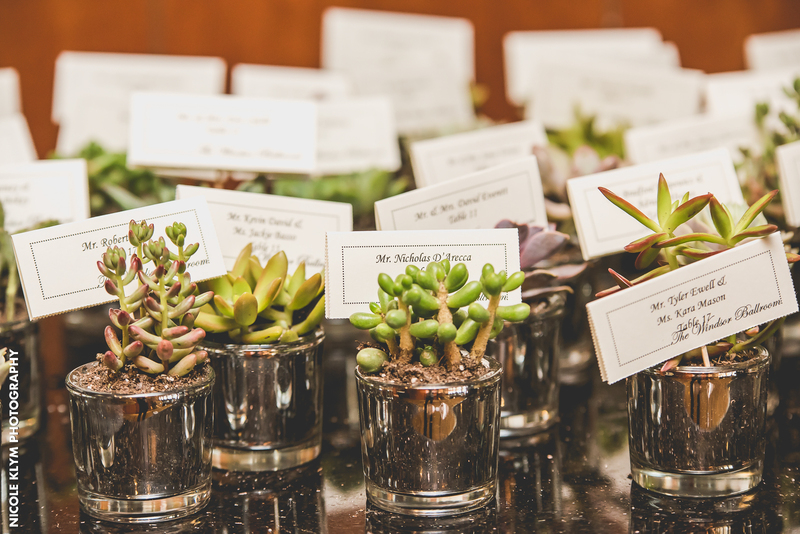 Though we’d hate to have to add yet another thing to your list, one tiny detail not to be overlooked is your place card table and place cards. 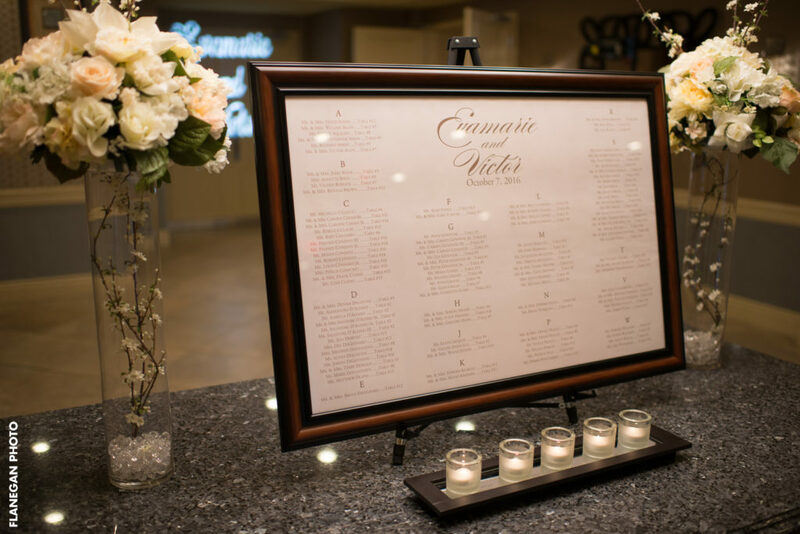 Great for helping guests figure out where their assigned table is, you want to choose designs that stand out, fit your personality, and flow with the theme of the day. Below, are a few ideas that we found to be absolutely creative from couples who were married at Atlantis Ballroom or one of our sister venues. 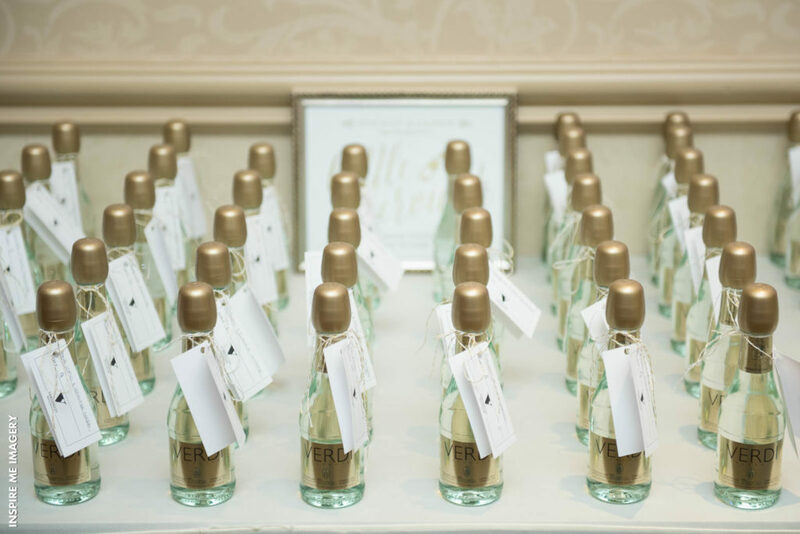 Instead of simply lining up basic place cards on a reception table with a name and table number, you can add some creativity by attaching them to your wedding favors. 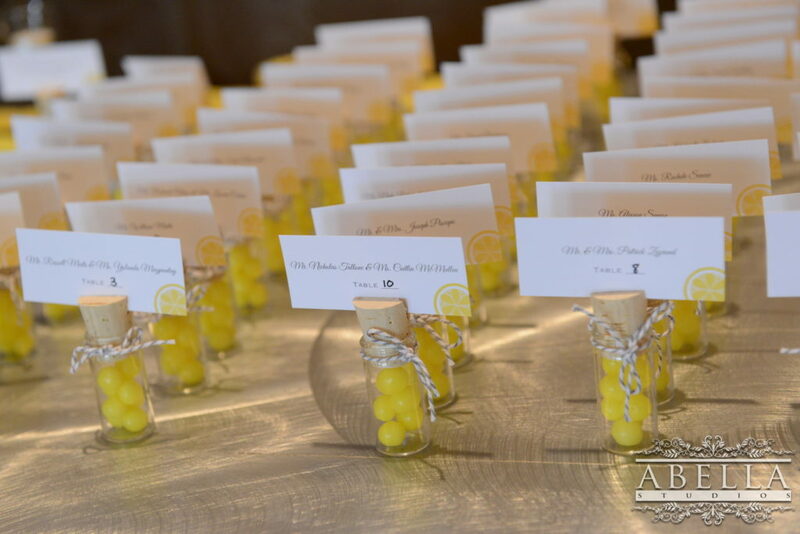 We’ve seen couples put reception place cards on tiny wine bottles, s’mores kits, lemon drops, and more. 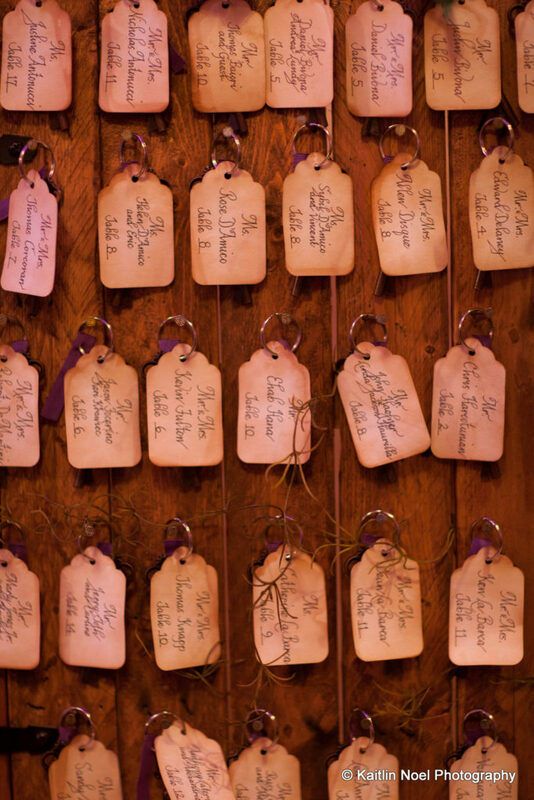 Now here’s a creative keepsake that your wedding guests will appreciate – key chains. 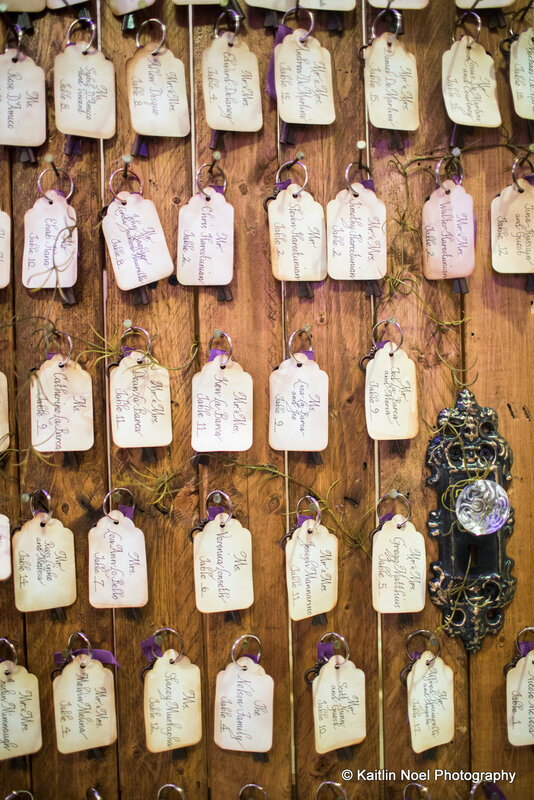 This couple who seems to have chosen a more country-style wedding had their reception place cards written on keychains. 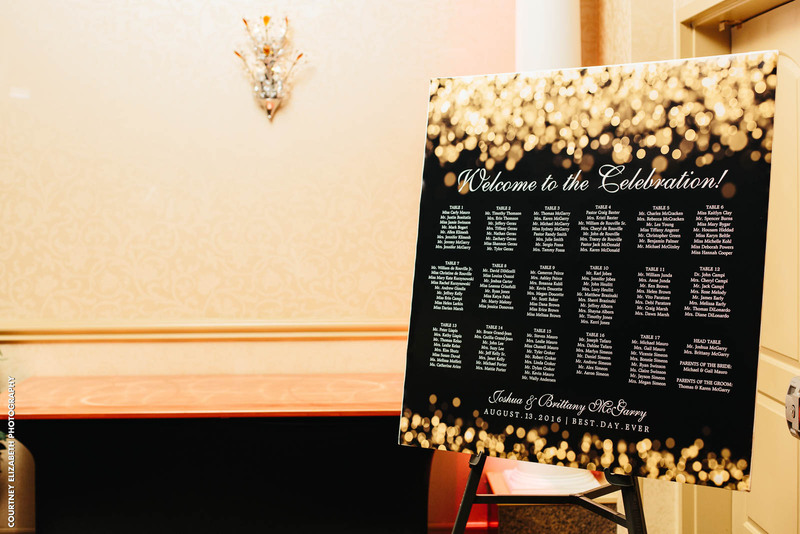 They hung them from a large and beautifully designed door for their guests to easily grab their name and head to the NJ wedding reception hall. Instead of going with a traditional white or cream colored card consider incorporating the theme of your day into your reception place cards. 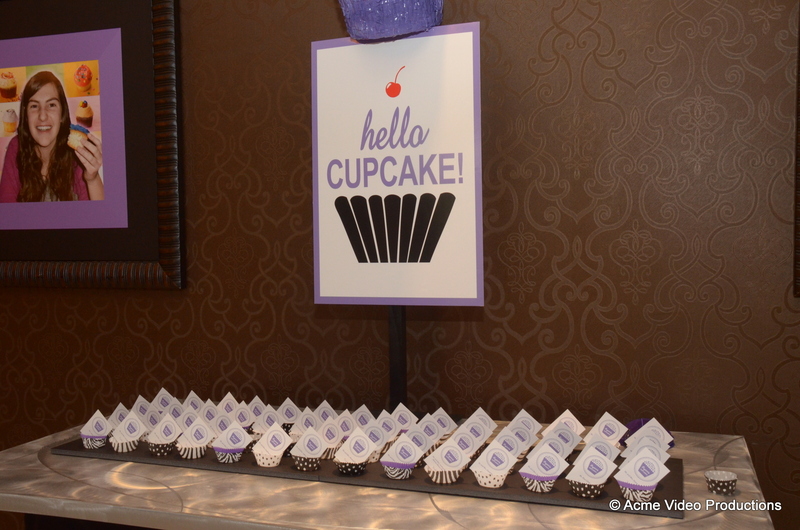 Here you’ll see that some of the couples chose to add their guests’ names and table numbers to things like cupcake holders, bottles of sand, and more. 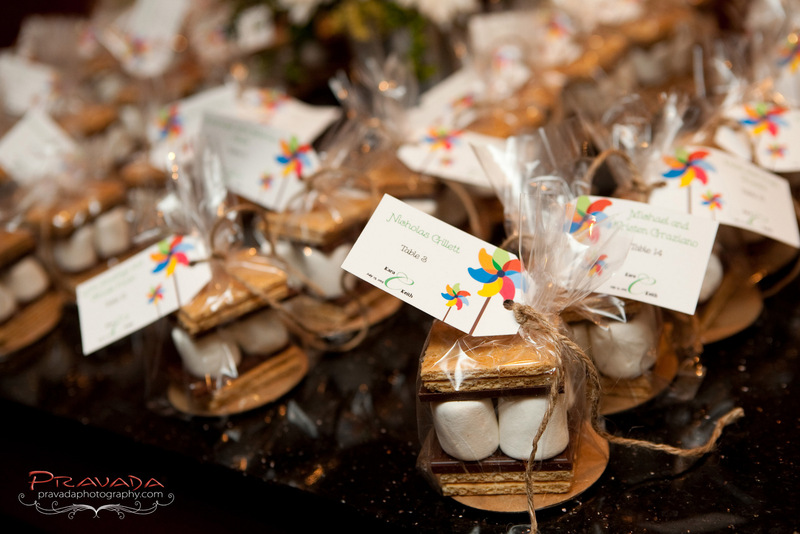 For couples who’d like to ditch the place card idea altogether, we offer customized seating charts designed by Sunflower Photo Solutions. You can add this service onto any package or contact Sunflower Photo Solutions yourself for a custom designed piece sure to fit your wedding vision. 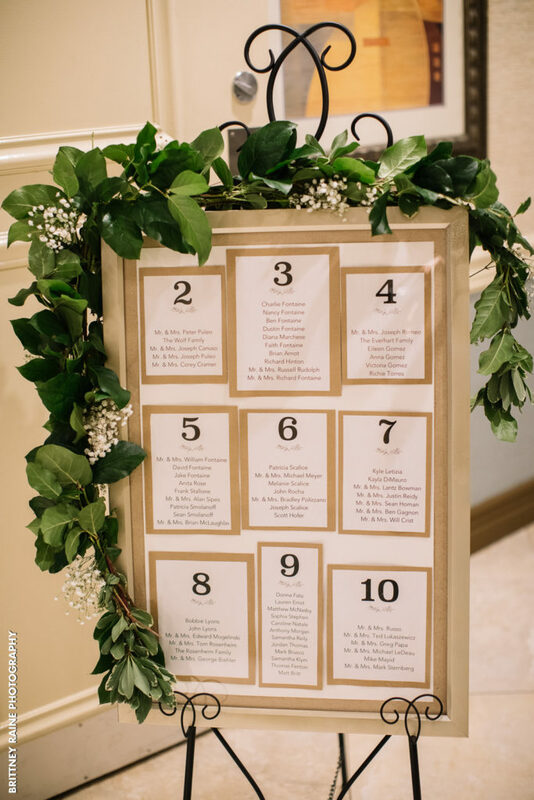 You can get creative with your seating charts and incorporate your wedding colors, themes, and more to make it easy for your guests to read and admire. 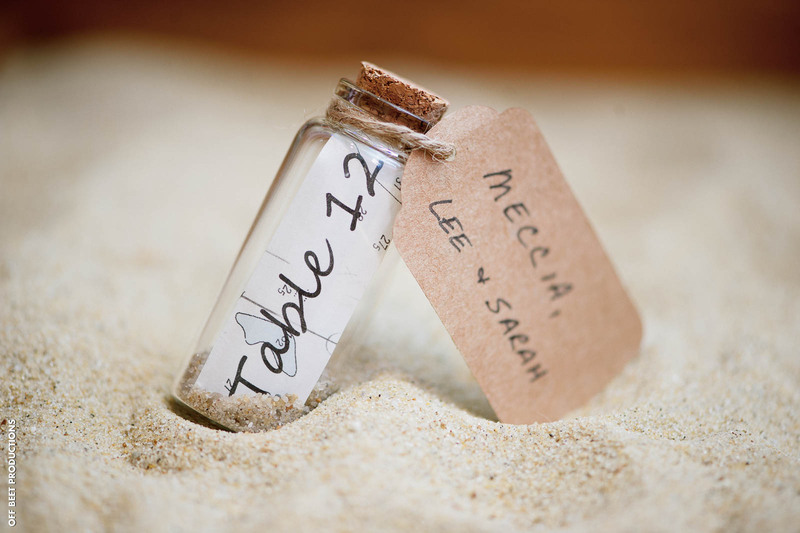 Your wedding reception place cards are just as important as other elements on your wedding day. If you want to throw tradition aside and go with something different, these ideas should certainly give you a good head start.